China Train Tickets Booking and Online Payment Guide. 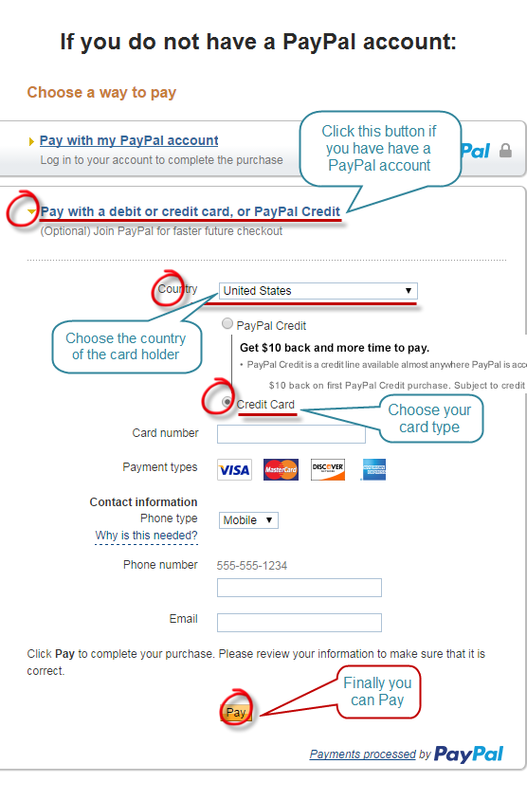 I do not have a PayPal account, how can I pay through PayPal? You can pay through PayPal without a registered account, just open the Payment Link we sent in our email or Click the Pay Now by PayPal on your booking page. You will be able to pay with your credit card or debit card. How can I use my credit card or debit card to pay? Open the Payment Link in our first email sent to you, you can switch the language on the right top. There are two buttons, one is Pay with My PayPal Account and another is Pay with a Bank Account, Debit or Credit Card, or Paypal Credit. If you do not have an account, you can choose the second button to pay online with your credit card, etc. Why won’t PayPal work in China or out of my country? If you used to use PayPal in your city out of China, Paypal can detect your IP/address and find your IP/address was changed if you are using your account in China or the third country. So you cannot use the account successfully. You have to call the PayPal Company (the phone service in your country) to help you with this problem. Login to your account, drag to the bottom of the page, click the Contact Us, and then find the Call Us to the upper right part of the page, click Call Us. You will see the phone number and One-time passcode. When, Where, and how to pick up my tickets? You can pick up your train tickets at any time after we have booked and sent you the pick-up number. You need to show the pick-up number and the passports. Pick up your train tickets at a train station: be sure reach the right train station at least 1 hour (1.30 to 2 hours in holidays) before your train departure time, show the pick-up code we sent to you as well as passengers’ passports to a ticket window, and then you can get your tickets. Pick up your train tickets at any train ticket agent near your hotel. Show the pick-up code we sent to you as well as passengers’ passports to a ticket office, and pay CNY5 per ticket and then you can get your tickets. 1. Names must be the same as that appear on the passports. 2. Passports must be 100% accurate, you cannot collect a ticket if there is a number error. 3. Copies of passengers’ passports must be photocopied or scanned and email to us once you make the payment. 4. Without copies of the passports we cannot collect your tickets and make the delivery. 5. A pick-up code will be included in the conformation letter from us. Use that code to collect your tickets at a train station ticket window. You must show passengers’ passports as well. 6. If you collect the tickets at your departure train station, it is free. If you collect your tickets at a ticket office agent, you need to pay CNY5 per ticket.